Let Island Fence design your gate for you! 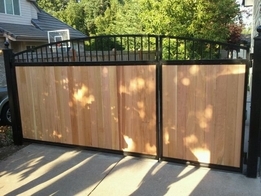 We do custom wood, ornamental iron, and chainlink gates! All gates also have the option of an electronic opener!